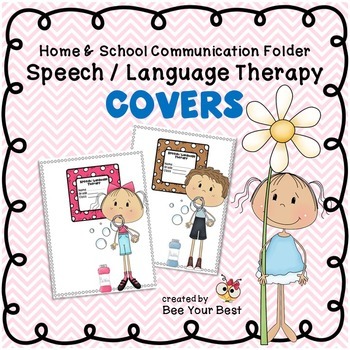 Here is a COVER for you to create a home/school communication folder for your students that receive Speech/Language therapy. Your students will have a cute folder in order to organize their speech/language practice pages (homework assignments) and progress notes. These are great to laminate or to slip into a page protector sleeve. I really like to use The Communicator by Nicky's Folder.